Make your date night all the more special with this smart, one shoulder top. 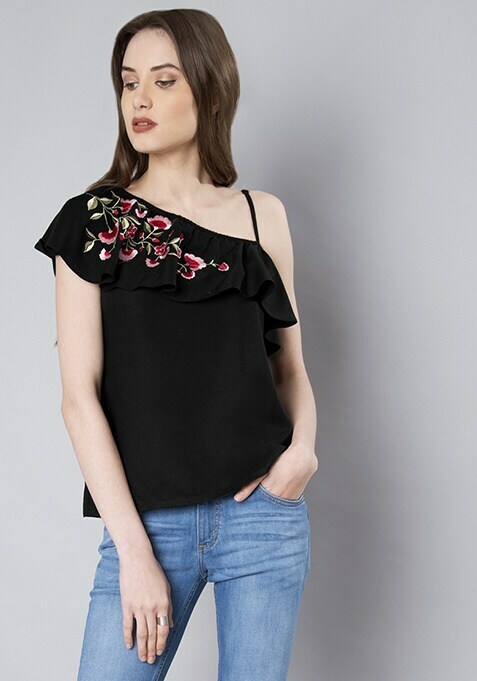 An ideal wear for women of all age groups, this top is equally stylish and comfortable. Work It: Slip it on with a pair of high waist jeans and complete your look with killer heels.